Advanced Dungeons and Parenting: ELEKTRA IS THE BEST SUPERHERO FILM OF 2005! ELEKTRA IS THE BEST SUPERHERO FILM OF 2005! Number One: Hey MillerFan it is great to see you back for chatting action here at Marvel Movies Masticated! Have you seen the new Elektra film yet? MillerFan: Yes. I refuse to talk about it. It was even worse than Daredevil. Number One: What a minute there buddy, are you refering to Daredevil the theatrical release or the Director's Cut DVD? MillerFan: DVD, no one in their right mind can even imagine the theatrical release without having the "fear put into them" to quote Bullseye and going blind. But without a radar sense. Number One: Now you know according to Yahoo! Movies Critics rated it a C- and "fans" a B-. Number One: Hey there, this isn't a Marvel Max title, we need to watch our language. Well MillerFan, it looks like we have some lurkers who have PM'd me to get a synopsis of the film before we continue. MillerFan: Whatever. I'll read DK2 while you do that. Number One: Marvel's latest film Elektra sees Jennifer Garner reprise the role she played in last year's box office success Daredevil. 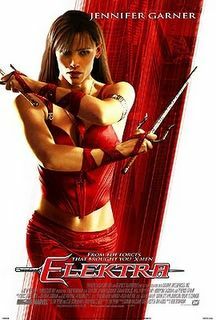 Elektra Natchios is a child combat protege who has entered into the career of "assassiness" since being resurrected after her death in Daredevil..
MillerFan: according to the dumb movie. She has always been an assassin...She was her father's fricken assassin. It's what she does. Number One: If you will refrain from interrupting me please. She has been resurrected by Stick (Terence Stamp) who believes her heart is pure and who seeks to teach her an ancient martial art which incorporates "time manipulation." The martial art is also said to allow its users to bring back the dead. We enter the story with Elektra having been "cast out" by Stick as a potential savior of mankind, and with the hint that there is a new protege or "treasure" who can save us all from the evil that is the Hand! MillerFan: I don't even see how you can describe the movie as you just did. I don't remember any of that. Number One: Well...the background is integrated throughout the film through flashbacks. MillerFan: How do you know this is a sequel and not a prequel? Number One: Elektra's father is dead, which happened in Daredevil and she is "resurrected" while wearing the same costume she wore in Daredevil when Bullseye killed her. MillerFan: Okay, okay, I and everyone else here are getting bored. Give us your opinion. Who cares what Yahoo! thinks. Number One: This beautifully shot film isn't without its problems. The movie opens strong with a suprise guest appearance by the wonderful Jason Isaacs (Chumscrubber, Peter Pan, The Patriot) as the victim awaiting assasination by Elektra. From there, the narrative is a little sketchy, but still fun. Colin Cunningham (most notably of Stargate SG-1 one of my favorite bit characters actually)plays Elektra's agent, the overly eyelinered, but morally forthright McCabe. Okay, he's as morally forthright as an assasin's agent can be, but I liked him in this. Goran Visnijic (the doctor on ER everyone has a crush on, including me) plays the father of the new "treasure" Abby (played by Kristen Prout). 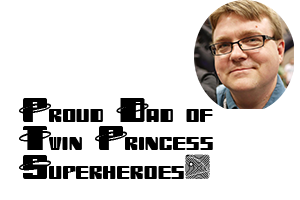 MillerFan: Enough! Tell them the names of these two! Number One: Okay, okay. Visnijic is "Frank Miller" and Kristen is "Abby Miller." It's called an Easter Egg. MillerFan: It's called fricken blasphemy! Number One: Whatever. 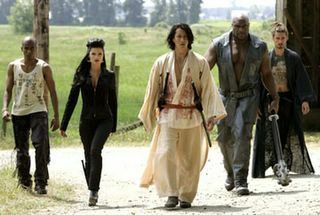 The heroes of the film have worthy opponents who walk around as if they were in a Tarantino film. Number One: Will Yun Lee (who was, and this pains me to say, actually pretty cool in Torque) plays "Kirigi" the future of the hand. Lee's portrayal of Kirigi is excellent, from time to time I actually felt I was looking at an Anime character. He was truly iconic as a villain. The writing of his character is pretty weak, but his acting and overall coolness factor are, well, cool. MillerFan: Who should get Marvel sued by DC. Number One: No one reads Green Lantern MillerFan, besides I am sure there are plenty of legends of living tattoo guys. Take for example the SciFi channel commercial where the guy buys groceries so he can have dinner with his tattoos. 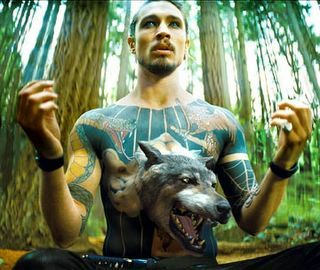 Anyway...Tattoo can cause his tattoos to become "animated" and attack/spy on his foes. Kinkou (Edson Ribeiro) has to power to get killed real easy. Miller Fan: And come back to life right? Number One: I thought you had seen this. No, just the power to be easily removed. Miller Fan: Typhoid Mary, you mean! Number One: No I mean Typhoid, no psychosis here. Typhoid (Natassia Malthe, Disturbing Behavior, Lake Placid) is a past treasure turned evil, who has the power to "infect" people and kill them with disease. Oh, she also has the power to create the hottest scene in the film. I am sure the Typhoid/Elektra kiss has inspired untold numbers of explicit Flash animation films and slash fiction stories. Number One: As you can see by the pictures of Tattoo and the Typhoid/Elektra kiss, the film is often beautifully shot. The action scenes are well choreographed. I was really impressed with the choreography involving Kristen Prout. Either they intigrated her double flawlessly, or she paid more attention than Ben Affleck during the training sessions. Somewhere in this movie is a good action film, but the scenes...while pretty...often dragged. Not the action scenes, those moved rapidly, but the dialogue scenes. The film seemed to be directed so that every actor took one beat too many before delivering their lines. Anyway, I would rate the film a B- just like all the "fans" except it has Terrence Stamp in it and that adds half a grade. Elektra is a 2.9 on a 4 point scale -.1 so that you don't think it is a solid b-film. Number One: Sure...Okay...I rest my case. Should you see this film? I say so, just don't expect to much.